LIGs work for, and with, people with a learning disability and their family and carers in the areas where they live. 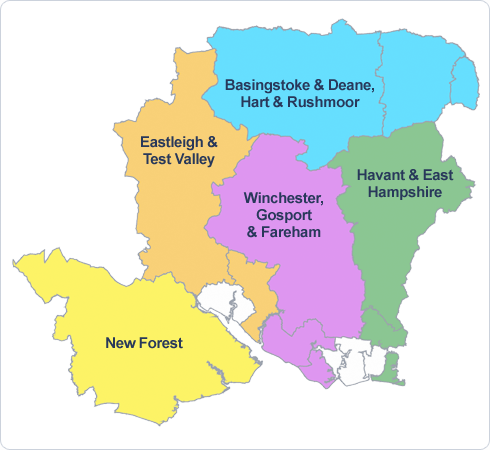 There are 5 LIGs in Hampshire, click on the map below to see what is happening near you. We have an LD plan in Hampshire and an LD Charter (see above). A new LD plan review 2018 is available at the end of November 2018.